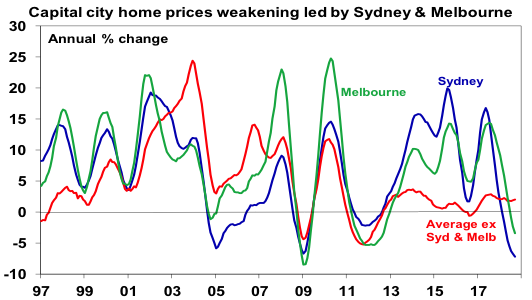 Property prices in Sydney and Melbourne are likely to see top to bottom falls of around 20% as credit conditions tighten, supply rises and a negative feedback loop from falling prices risks developing. Other cities will perform better having not seen the boom of the last few years. Property investors should remain wary of Sydney and Melbourne for now & focus on higher yielding markets. 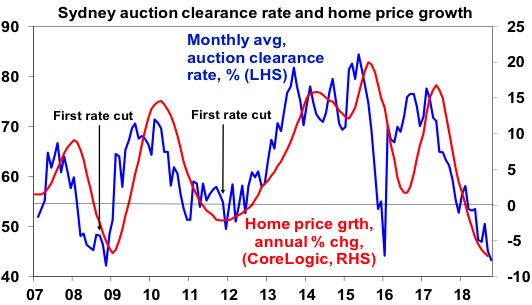 Australian capital city home prices have fallen for 12 months in a row and are down 4% from their peak. 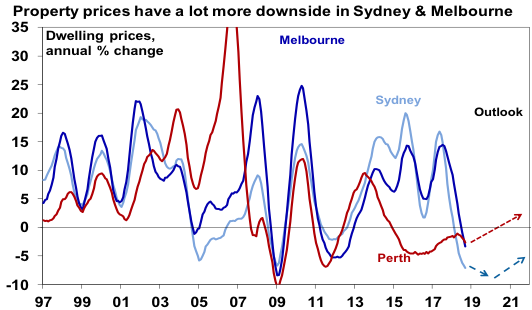 Most of the weakness relates to the previous boom-time cities of Sydney and Melbourne but prices are continuing to fall in Perth and Darwin. 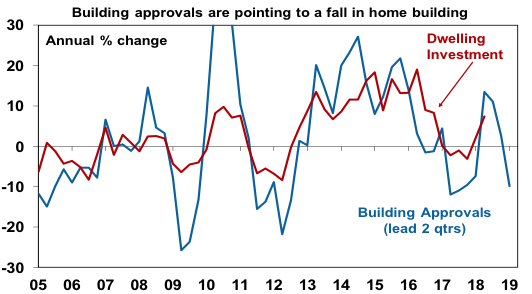 Strong population growth is continuing to drive strong underlying demand for housing. 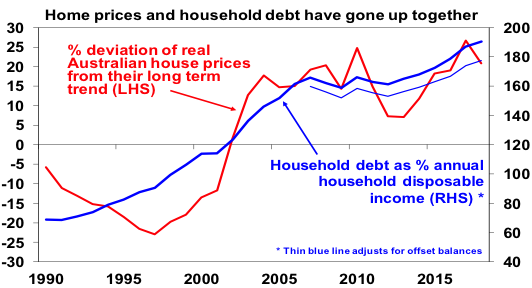 While mortgage stress is a risk, it tends to be overstated: there has been a sharp reduction in interest only loans already; debt servicing payments as a share of income have actually fallen slightly over the last decade; a significant number of households are ahead on their repayments; and banks’ non-performing loans remain low. Finally, while Sydney and Melbourne are at risk, other cities have not seen the same boom and so are less vulnerable. Excellent article, thank you for the detailed analysis Shane.